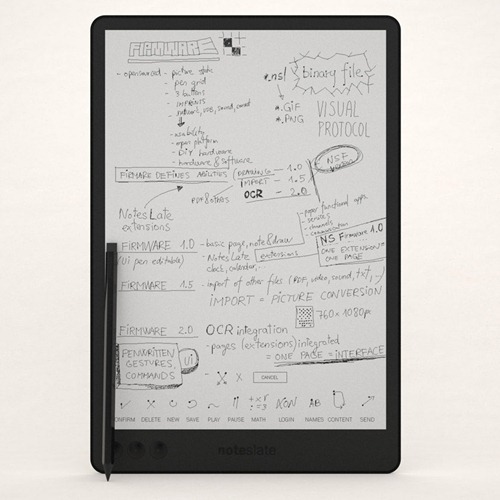 If you live in the online world, you may have already heard about Noteslate – A device, which I think, will be a path breaker, thanks to its simplistic & organic approach. Here are the reasons why I think Noteslate has great potential to become one of the must have devices. 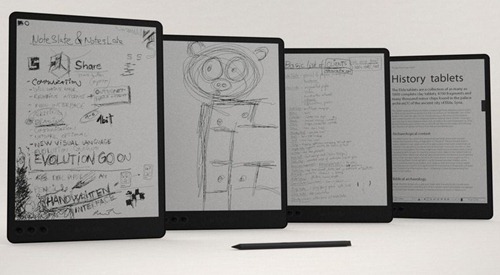 The foremost thing about Noteslate is that it is quite an inexpensive device (roughly about 100 USD), which gives it a mass appeal and affordable to nearly everyone. Devices like E-Readers (Kindle, Nook) are already very popular even though the price tag is much higher, and they don’t really offer much in the way of user input. Noteslate is also a ebook reader just like others but adds whole to it. Noteslate scores because it mimics the most basic natural environment of paper and pencil but without the bulk of plentiful notebooks and papers. Just one light-weight device and you have everything on it. Noteslate can become a dream device for school & college students as it has potential to replace not only text-books but note-books as well. Additionally, NoteSlate has many extensions that can make this device near all-in-one ! It is wi-fi enabled, has USB and a long battery life, where you will not have to charge it for days ! Extensions like social Sharing, Calendar, tasks, calculator, Text recognition and many such makes Noteslate a real attractive proposition. Noteslate is not out in the market and I am unable to find any videos on internet that showcase Noteslate of any person using it. So, as of now everything is in theory – but even if main features come out as they mention, it will be one breakthrough device you may want to own ! What is your take on NoteSlate ? India importing Milk by 2021! Can you believe that? where to buy this SLATE NOTE, who are the manufacturers and is it available in INDIA, CHENNAI and what is the price. please inform me. Please also inform me if an high-end version of the same product is available to RECORD the surrounding sound while taking notes in the SLATE NOTE during a class room lecture. I like it paper tablet.